The U.S. Air Force has awarded a $349.1 million contract to Boeing (NYSE: BA) and a $328.6 million contract to Northrop Grumman (NYSE: NOC) to perform technology maturation and risk reduction work for the Ground-Based Strategic Deterrent intercontinentinal ballistic missile program. The Air Force Nuclear Weapons Center in Utah received three bids for the contracts and will obligate $5.7 million each to the companies from fiscal 2017 research, development, test and evaluation funds at the time of award, the Defense Department said Monday. Work will occur in Huntsville, Alabama, and other sites through Aug. 20, 2020. 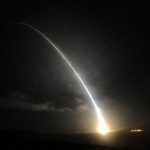 The Ground-based Strategic Deterrent program is designed to replace the Minuteman III ICBM system to help meet the service branch’s operational requirements. Defense News reported that Lockheed Martin (NYSE: LMT) also competed for the tech maturation contract on the GBSD ICBM program. The military branch will pick a single contractor for the ICBM engineering, manufacturing and design stage by fiscal 2020 with plans to achieve initial operational capability by late 2020s, the report added. The Air Force awarded the contracts a year after it sought proposals for the program.